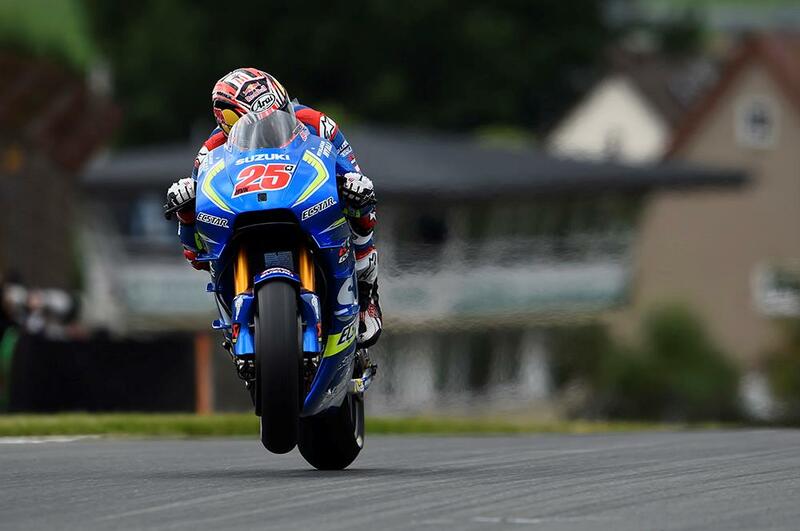 Maverick Viñales has bounced back from a fast turn eleven crash at Sachsenring to take the top spot on the opening day of action at the German round of the MotoGP championship. The Spaniard was lucky to avoid injury in the 120mph tumble, but a quick sprint back to the garage left him 0.2 ahead of Andrea Iannone at the end of the day, with Marc Marquez the final man on the provisional front row. 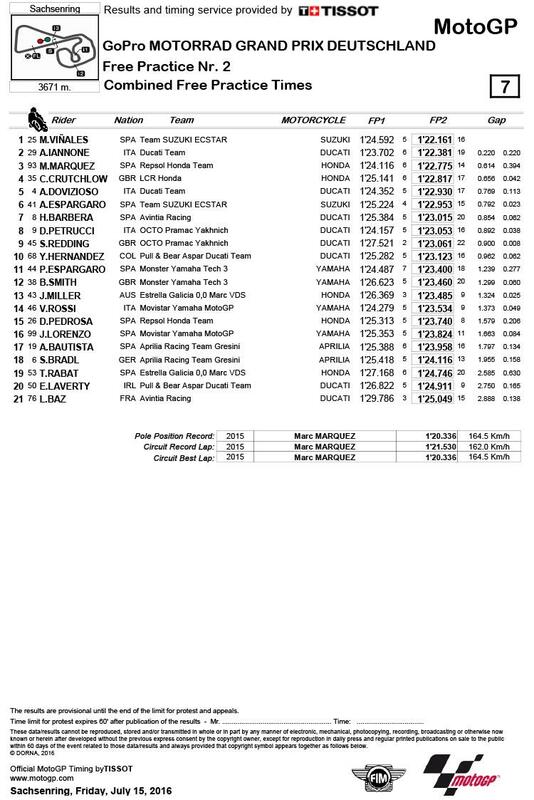 Cal Crutchlow was an impressive fourth, ahead of the second Ducati of Andrea Dovizioso and Aleix Espargaró, with Hector Barbera, Danilo Petrucci and Scott Redding making up the third row and Yonny Hernandez rounding out the top ten. Valentino Rossi was one of the front-runners keen to take no risks in low temperatures, finishing 14th, ahead of Dani Pedrosa and Jorge Lorenzo.